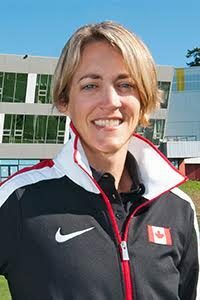 TORONTO – The President of the Canadian Olympic Committee (COC) Tricia Smith announced today new leadership for the Canadian Olympic Foundation (COF). Highly respected lawyer Perry N. Dellelce has been elected Chair of the Board of Directors, while veteran fundraiser and business leader Paul McIntyre Royston takes over as Chief Executive Officer. Originally from Sudbury, Ontario, Perry N. Dellelce is a founder and Managing Partner of Wildeboer Dellelce LLP, one of Canada’s leading corporate finance transactional law firms. He is extremely active in community and charity work through his numerous positions including Former Chair of the Board of Directors of the Sunnybrook Foundation of the Sunnybrook Health Sciences Centre, Member of the University of Ottawa Board of Governors, Chair of the University of Ottawa’s “Defy the Conventional” $400 million Capital Campaign, Deputy Chair of Western University’s $750 million Campaign Cabinet, Chair of the Sudbury Families Campaign of Laurentian University’s $50 million Next 50 Campaign and Member of the Business Advisory Council of the Mendoza College of Business at the University of Notre Dame. Paul McIntyre Royston has enjoyed tremendous success as the President and Chief Executive Officer of the Calgary Public Library Foundation for the past six years where he led the organization to more than $300 million raised in public and private support. He has also had very successful tenures as Vice President, Development at Hamilton Health Sciences and Campaign Director at the Sunnybrook Foundation. He was named one of Calgary’s Top 40 under 40 in 2015 by Calgary Avenue.